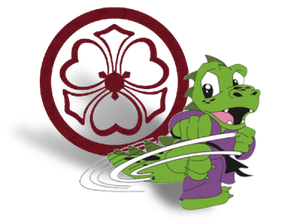 The Tameside Karate Lil' Dragons class is open to children aged 3 to 6 years old. The Lil' Dragons classes run at our dojos is a unique program developed for children ages three and a half to six years. This class, by design, is both fun and educational and utilises the curiosity and boundless energy inherent in young children. Each class is carefully structured to offer the greatest performance and learning environment for the children. Our warm and nurturing instructors bring to the class great energy and enthusiasm. They have been specifically trained to teach this unique curriculum. Our instructors guide the students through class from one activity to the next while encouraging and motivating each child to do his or her very best. Martial arts exercises help to build a strong, healthy body and work toward combating childhood obesity. Young children are at a unique developmental stage and our activities specifically address this. These skills are presented to the children in the form of fun exercises and games - combined with specifically outlined excpectations which are consistently reinforced during the class. The physical, mental, emotional and developmental benefits provided by martial arts training are unparalleled. No other single activity will provide your child with all of the benefits martial arts has to offer. A common parental concern and misconception is that martial arts will encourage violence and aggression. The opposite is true. Through consistent training, children will quickly discover an inner confidence and strength which enables them to move beyond the need to prove themselves physically. Patience and tolerance replace anger and frustration giving the child the courage to walk away from confrontations. Parents are quickly excited to see the self-discipline, focus, control and increased concentration carry over into their child's everyday life. Our Dojo locations can be found by visiting this page.